Kevin Spencer is an artist who truly believes in living what he sings. He is admired by his fans wherever he goes with his desire to be a blessing, and minister, while delivering a song, and he has witnessed many lives changed through his music and his ministry. Kevin started in southern gospel music with his family, The Spencers, when he was three years old. 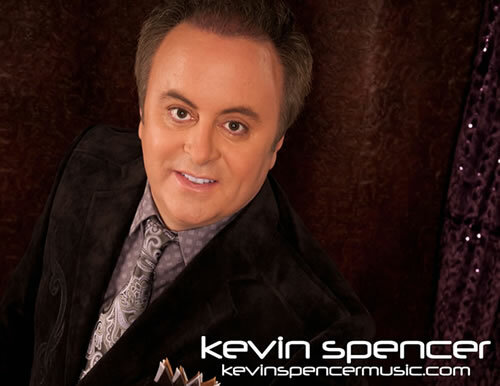 After starting his own group in 1992, Kevin Spencer and Friends, he became a solo artist and continues his ministry today. He also owns and operates the Some Dawning Music Company Int'l, Inc., which includes recording, songwriting, promoting and producing some of today's best southern gospel music. Through his music, Kevin reaches thousands of fans every year. He has recorded several #1 and #2 songs, including The Blood Is Still There, If The Rapture Was Yesterday, So Much To Thank Him For, Flow Through Me Holy Spirit and God Bless America Again. He recently released a tribute CD to his favorite singer, the late Rusty Goodman, and titled the project Remembering Rusty. It includes songs like Who Am I, Leavin' On my Mind, Look For Me and I Wouldn't Take Nothing For My Journey Now, and each of Kevin's concerts includes one or more of these songs in a special tribute to Rusty. Kevin plans to record volumes II and III in the future that will include more of Mr. Goodman's greatest songs. Kevin currently sings approximately 260 concerts per year covering most of the United States, Canada, U.S. and British Virgin Islands, Honduras, Grand Cayman Islands and Jamaica, and he can also be seen on many different Christian TV stations including Gospel Music Television and the Gaither Gospel series. Bill Gaither has invited him to be a part of three DVD's, including All Day Singin', So Glad and Sunday Meetin' Time, in which he performed I Heard About A Storm, Twelve Gates To The City and I Kept On Praying. Kevin Spencer's greatest moments are when something he has written or sung has truly touched someone's life. He is a born-again Christian who truly believes in living what he sings. If you would like Kevin to minister to you, contact him today! Call him using the booking information at the top of this screen or visit his website at KevinSpencerMusic.com today!